Oh, those MIT engineering students. What won’t they think of next. 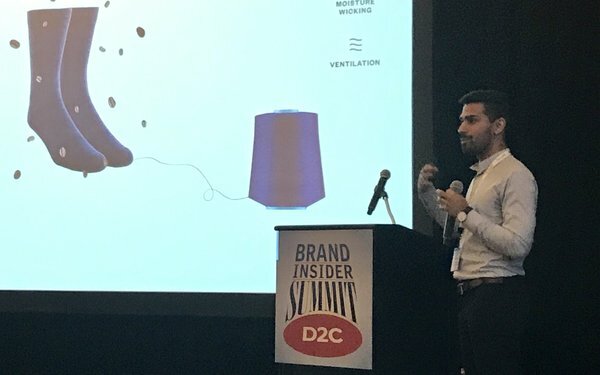 One such, Gihan Amarasiriwardena, Co-Founder & President, Ministry of Supply, a performance apparel brand based in, where else, Boston, told his brand’s story at MediaPost’s Brand Insider Summit on Wednesday in Austin. First, you must imagine that the company founders are engineers by background and in the fashion industry, that alone is unusual. But what they came up with makes so much sense, it’s a wonder MIT kids aren’t crowding the runways at fashion shows. The idea behind Ministry of Supply (think James Bond movies) is to take spacesuits and apply the technology to dress shirts. Started on Kickstarter, the idea drew a community that values technology and design as well as early adopters. The vocal, engaged community offered feedback in real time to its first video so that the brand was able to recut it and send it out again. While it thought its customers were in their late 20s, early 30s, it found that they were actually 10 years older and so this required a shift in strategy because people in that age bracket are looking for a premium product and did not want to hear messaging. After it created a repository of comments from customers, Ministry moved on to innovation marketing with a 3D print knit, experiential process and redid its static imagery. About a year ago, it went back to Kickstarter with an intelligent heated jacket that uses a USB battery and learns its wearer’s preferences over time. Correlated with walking speed, it predicts whether the user will become too hot and turns its heaters down accordingly. The brand raised about $650K on Kickstarter by 2,116 backers. Even better — Alexa can turn the jacket on. Of course.